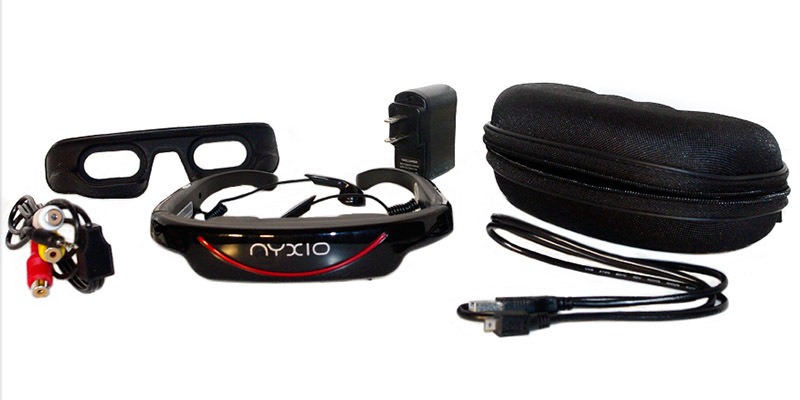 The Nyxio Venture MMV (Mobile Media Viewer) is a new class of personal, portable video eyewear with unmatched features and performance. Ergonomically designed with a sleek, narrow profile, Venture MMV promises to deliver an unparalleled state-of-the-art viewing experience. The Venture is compatible with most video and audio formats, and delivers crystal clear high-resolution. The built-in comfort ear buds provide superb sound quality to your personal cinema. The USB and micro SD interface allows easy and high speed file uploading of all your favorite media to a wide screen virtual display in a non-traditional LCD panel. Perfect for travel and leisure, the Venture MMV’s lightweight design, high storage capability, and media versatility will bring a new level of ease and enjoyment to the personal virtual experience. This PC conversion program converts audio files from a number of formats into the MP3 format used by the Venture MMV. This PC conversion program converts video files from a number of formats into the AVI format used by the Venture MMV. This Macintosh conversion program converts audio files from a number of formats into the MP3 format used by the Venture MMV. This Macintosh conversion program converts video files from a number of formats into the AVI format used by the Venture MMV.